Welcome to 2018! The final weeks of 2017 saw record rates, due to the all familiar urgency to move freight before the year’s end. 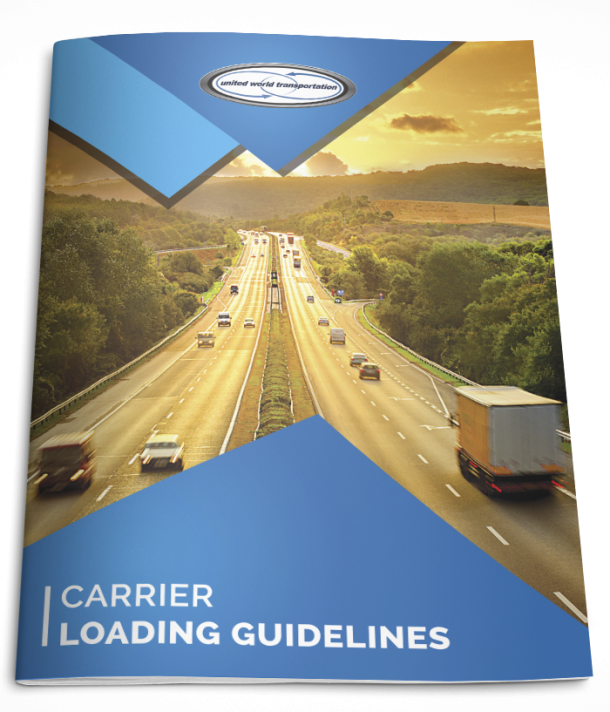 DAT Trendlines reports that weather and tight capacity due to the holiday push and the recently implemented ELD mandate meant it cost more to move loads. So, what can the trucking industry expect for 2018? The economic outlook for trucking has favorable predictions for 2018 and beyond. The tight capacity will continue, with notable positive economic positions for tax & infrastructure reform, global trade, and increased truckload demand. Tax reform for the United States was announced in late December. What this means for the industry in 2018, is an ease of the tax burden on businesses with the corporate tax rate reducing to 21%, from 35%. IN addition, the new tax bill keeps seven personal income tax brackets and lowers that tax rates for most brackets, including dropping the top rate to 37% from 39.6%. These efforts on tax reform put forth by US Congress will lead to a friendlier regulatory environment for trucking, and will have a direct positive impact on carrier finances. It will be easier to justify spending money on equipment, technology, and employees. Congress and the Trump administration also have indicated they will finally begin consideration of a long-awaited infrastructure funding proposal in January. While most to the details of the plan have yet to be announced, the plan would in general provide agencies with $1 trillion over ten years, with 80% of the funding coming from the private sector. The funding would work to improve roads, bridges and rails as a top priority. Overall, Global trade is increasing, both in developing and emerging economies around the world. The US economy and trucking is benefiting from this with healthily spending and returns of business investments. However, one of the biggest questions still left on the table for 2018 is the North American Free Trade Agreement (NAFTA). The outcome of ongoing talks has yet to be determined, and the US government has hinted at changes. Whatever the outcome, it will have an impact on the trucking industry, as Canada and Mexico are two of the US’s largest trading partners. But for now, trade continues under NAFTA with over the road freight leading the way in getting goods moved back and forth in North America. The Trump administration has said that some major goals for 2018 are returning manufacturing jobs to the United sates, and reducing trade deficits with countries such as China and Mexico. Putting manufacturing back into US soil will greatly help the economy. The American Trucking Association (ATA) just put forth their forecasts for the New Year. Reports indicate that the amount of goods hauled by trucks will grow 3.4% annually through 2023 before showing signs of slowing again. ATA’s forecast notes that trucking will continue to be the dominant mode for freight. Trucking companies’ revenue, including both for-hire carriers and private fleets, is estimated to come in at $719 billion for 2017, making up approximately 79.9% of the $900 billion generated by all transportation modes. That number is expected to rise to $1.25 trillion with 77.7% of the total transportation mode revenue by 2028. In addition, sales of Class 8 vehicles are expected to climb 38% from 186,003 vehicles in 2017 to 257,567 in 2028. The number of Class 8 vehicles in operation is projected to rise 19 percent from 3.43 million to 4.07 million by 2028. While the forecast predicts there will be more trucks on the road in the coming years, the driver capacity to fill these trucks in the big problem, as all stakeholders in the industry are very aware. An ageing driver workforce, along with regulatory pressures such as the ELD mandate are leading to a qualified driver shortage. Many carrier companies are trying to entice drivers to come on board with attractive health insurance plans, sign-on bonuses and other value adds; owner operators may have a harder time trying to keep up. All of this will undoubtedly be reflected in a predicted continued rate increase to offset the unbalance in the demand and supply. With the US GDP expected to remain relatively stable, the 2018 economic outlook for the trucking industry is favorable. Average annual growth of the GDP is expected at 2.3% up to 2023. So, overall, it will be a challenging but exciting time for the trucking industry!